Belt speed: 30 m/s. Temperaturbereich /Temperature Range: -25 bis 100° Celsius. and Agriculture / Garden applications rely on the product Quality and Performance. The products are manufactured on the newest. Car Parts - QH. Shake & Shine. Exterior Cleaning. Wash Cloths & Accessories. Safety & Security. Exterior Accessories. Touring & Travel. Interior Cleaning. Car Parts - QH. Exterior Cleaning. Exterior Accessories. Interior Cleaning. Interior Accessories. Bevis Green. Product images are for illustrative purposes only. C/O Tetrosyl Limited. Car Parts - QH. Exterior Cleaning. Wash Cloths & Accessories. Exterior Accessories. Touring & Travel. Safety & Security. Interior Cleaning. Interior Accessories. Car Parts - QH. Shake & Shine. Exterior Cleaning. Wash Cloths & Accessories. Safety & Security. Exterior Accessories. Interior Cleaning. Interior Accessories. Car Parts - QH. Shake & Shine. Exterior Cleaning. Wash Cloths & Accessories. Exterior Accessories. Interior Cleaning. Interior Accessories. Safety & Security. DACIA 117205930R. RENAULT 117202929R. RENAULT 117205930R. Weitere Informationen. Einbauseite im Fahrzeug. HARLEY-DAVIDSON MC 40022-91. Die hier angezeigten Daten, insbesondere die gesamte Datenbank, dürfen nicht kopiert werden. Es ist zu unterlassen, die Daten oder die gesamte Datenbank ohne vorherige Zustimmung TecDocs zu vervielfältigen, zu verbreiten und/oder diese Handlungen durch Dritte ausführen zu lassen. 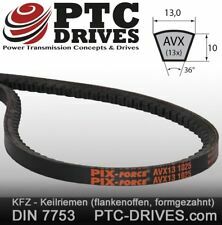 FAN BELT COMPATIBILITY. 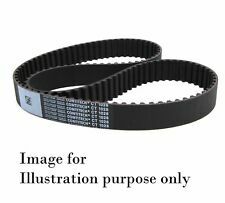 Timing Belts. You may also like. Sie kaufen hier 1 neue Umlenkrolle. Wichtige Details zum Teil Marke Modell Plattform Typ Baujahr Motor. DACIA 117200033R. RENAULT 117200033R. RENAULT 117207719R. Weitere Informationen. Einbauseite im Fahrzeug. Dedra (835) FL94 : 2.0ie. Thema (834) LR88 : 2000ie. Thema (834) FL92 : 2.0i. Kappa (838) : 2.0ie. Tipo (160) : 2.0ie. Delta (836) MQ93 : 2.0i. Delta (831) R86 : 2.0i. Coupe (PC) : 2.0i. PEUGEOT 5750 D2. PORSCHE 999 192 284 50. PORSCHE 999 192 290 50. Länge [mm]: 720. Einbauseite im Fahrzeug. Part Number: K035469XS. Timing Belt Kit. Replaces following reference(s) (We can mark the item as a 'gift' if requested to, but we will not declare any different amount). HUTCHINSON: KH399. VEYANCE: K4G1321H. Part Number: KP15202XS. Replaces following reference(s) (We can mark the item as a 'gift' if requested to, but we will not declare any different amount). Automotive Parts. FAI AutoParts: DTTWDFAI. SWAG: 81932823. MITSUBISHI MD 115977. MITSUBISHI MD 145716. MITSUBISHI MD 171749. MITSUBISHI MD 182295. MITSUBISHI MD 185544. MITSUBISHI MD 192068. MITSUBISHI MD 352473. MITSUBISHI MD352473DD. Part Number: K035182XS. Timing Belt Kit. Replaces following reference(s) (We can mark the item as a 'gift' if requested to, but we will not declare any different amount). SNR: KD45721. TRISCAN: 864729033. Part Number: K015241. Timing Belt Kit. Replaces following reference(s) (We can mark the item as a 'gift' if requested to, but we will not declare any different amount). VEYANCE: K1G1348. KAVO PARTS: DKT8002.